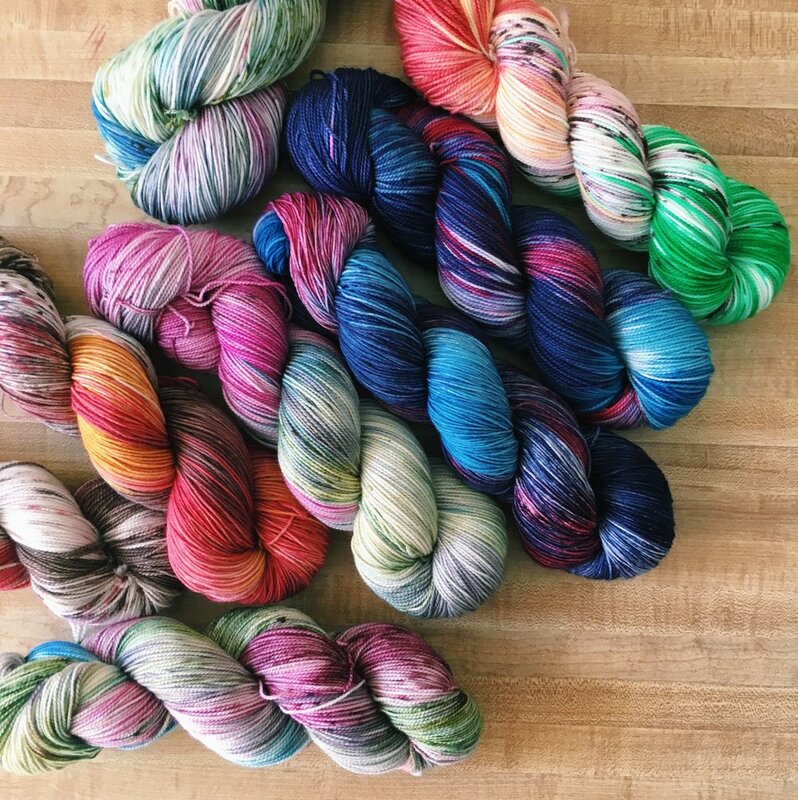 I'm Kemper Wray - dyer of Junkyarn, knitter, sewist, writer, sometimes-designer, and near-constant maker living in Raleigh, North Carolina. I share my life and my creative space with my husband, Bill, and our two cats, Luna and Chad. I started knitting in college, but I've always been a maker! From dresses for my stuffed animals to paper dolls to painting and drawing and dyeing, I've done it all. But I've settled happily on fiber arts, at long last. My life in fiber began in earnest after grad school. I have an MFA in writing from North Carolina State University and I'm grateful everyday for it because without it I wouldn't have met my partner and wouldn't have moved here. Check out my makes here and my yarn here. I also post frequently on Instagram. I try to post on Ravelry as often as I can. You can also find my knit designs there. All photos on this site were taken by Kemper Wray unless otherwise attributed.